Those of you who’ve pledged for the long awaited (and delayed!) Suggs DVDs should have found that they’ve now landed on your door mats along with the accompanying T-shirts, if you also pledged for those. Backers who have gone for the hand written lyrics reward are still waiting for this perk. We’re hopeful that once Suggs winds up his latest tour he can crack on and get these churned out and sent off to those who pledged. Now, before we get on with the issue, here are a couple of interesting YouTube videos uploaded by user Blue Water and spotted by Declan McDermott / Mr Wheeze. This is a truncated recording of a very early version of the song before the final single was completed. And here is One Better Day from the same show. This unique line up sees Bedders miming for the absent Barson. 1984 live keyboard player James Mackie is miming on the guitars joined by a member of Temple Tudor. We were a third of the way through November by this point, meaning Christmas was only just around the corner. If friends or relatives were asking you what you’d like and you were struggling to think of gifts to suggest then we suggested you check out the Buy It section of this week’s issue. With a selection of books and albums listed we were certain there was at least something listed that you’d be pleased to receive on Christmas morning. 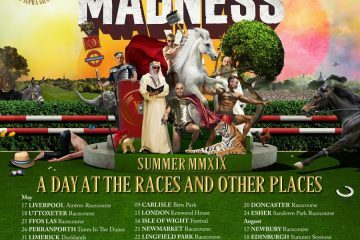 Taking place much nearer to the current date than Christmas was what had become the annual Madness Weekender in Minehead. Although much of the line-up and guests had changed little since the very first Weekender we were certain that those of you going would have a fantastic time. With part of the MIS team reporting directly from the event and the remainder poised in front of their keyboards you could be sure that the MIS issue due out that weekend would go out without delay, and would also feature the most up-to-date news from the Weekender possible. 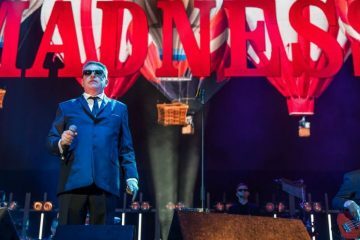 So, if you were one of the many Madness fans not attending we urged you not to panic. We promised to do our best and bring you as much coverage from there as we could. Back to this week, and in our Buy It section we had a new addition in the form of the Lee Thompson Ska Orchestra single “Bangarang”. Featuring the vocals of Dawn Penn, it was due for release on the 16th December. “Some months ago I was asked by fellow musician, Jo Watt, to take part in the Grade-One-a-thon and raise money for Children in Crossfire. It’s where musicians learn an instrument that they have never played before and then take an ABRSM Grade One exam. I chose the tuba! It’s been a great experience: sometimes I’ve been amazed at making such a sweet sound and sometimes depressed by making such an unholy racket (my neighbours have been very understanding). Most of all, by starting from scratch again, it’s made me look at making music in a different way. My exam is on December 6th, 2013. Readers were urged to click on to Mark’s Just Giving page and make a donation. Moving on, and in our Sign of the Times section we reported (via Digital Spy) that Sir Tom Jones and Madness had been booked to perform at this year’s BBC Children in Need Rocks concert. The annual show curated by Gary Barlow was due to take place at London’s Hammersmith Apollo on the 12th and 13th November. Following this, we went over to Chris Carter-Pegg, who revealed that he’d been asked to write a section in a new book about the Glastonbury Music Festival. 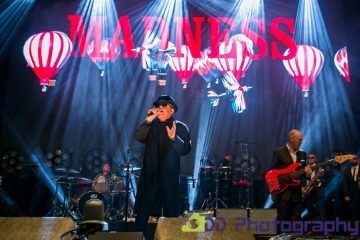 Chris explained that his section covering Madness, was twice the size of all the other entries given to other bands. 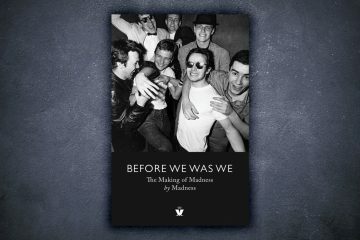 The book cost £16, but Chris admitted that it would only be worth your while if you were a big Glastonbury Music Festival fan. 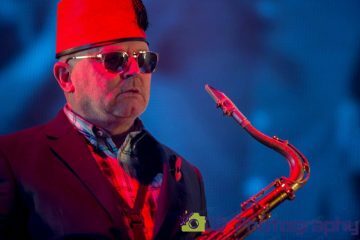 Our Live and Intensified segment this year was populated by the writings of subscriber Daren West, who reported on The Lee Thompson Ska Orchestra Halloween gig. Not only that, but he’d even napped the set listing and there accompanying notes. We brought this issue to a close with a final nudge to get more of us to make a contribution to Mark Bedford’s Just Giving account, which at the time of writing was showing £565. We began with part of the MIS team finding himself sadly lacking in sleep, as he was awoken from his slumber by a phone call at around 1:30am. In a rather drunken state, two MIS subscribers decided to phone up one of the editorial team, and proceed to drunkenly sing the unreleased classic “Perfect Place”, down the line. We could only assume that what they’d been drinking was pretty potent stuff, as they also wished the recipient of the call a “Happy New Year”. Most odd. On to the articles, and we began with the news that the Arlington House project was facing a handover of the historic building and a probe into its landlord. The enquiry came on the heels of the revelation that landloard Novas Scarman planned to sell the hostel on Arlington Road. Next, it was a slightly non Madness related article, as we published forthcoming UK and European tour dates for dirty reggae favourites the LA based Aggrolites. The Euro tour would kick off on the 12th of November in Newcastle, and finish on the 28th of November in Moscow. 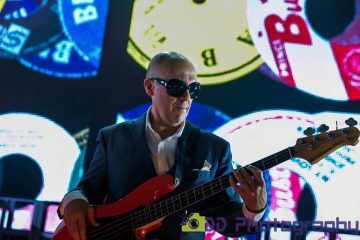 Moving on, and news reached us earlier this week revealing that long running music duo, The Pet Shop Boys, would be presented with an Outstanding Contribution to Music award at the following year’s Brits. Like many of us, MIS subscriber Chris Carter-Pegg was none too impressed with Madness once again being snubbed when it came to being recognized for their achievements. So much so that he decided to knock up an email and send it to the organisers. Elsewhere we had a review of the recent Damaged Goods gig, courtesy of Jonathan Young, and we brought the issue to a close with the news that Bristol Madness tribute act 1 Step Below had changed their name to NUTTYnes to avoid confusion between themselves and One Step Behind. After a few weeks where we had very few small snippets for our intro, it was nice to see that things had made a dramatic turn and we were once again blessed with tiny nuggets of Madness info. “I telephoned the company up a few days ago and some woman from receptionist training school informed me that he has ‘left our organisation’. For the past few weeks his slot has had nobody replace him at all”. News for the collectors out there was that a promo version of the recently released ‘Madness Singles Box Set’ was now doing the rounds. Featuring al the tracks from the forthcoming box set, split on to 2 CDs, the discs were stored in plastic wallets, with basic track listing info written on to white card inserts. Elsewhere in the issue we decided to take a look at Dancing Stage Fever for the PlayStation 2. 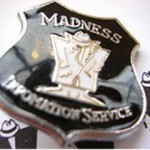 Well, it turned out that Konami’s latest offering featured the classic Madness track ‘One Step Beyond’. Not only that, but for Eighties fans tracks by Dexy’s Midnight Runners and Squeeze were also on the disc. “I haven’t tried it myself but for all the Madness fans reading that don’t own a PS2 I’ll let you into a secret. The same effect can probably be achieved with a copy of Divine Madness on DVD, 3 cans of white lightning cider and the play mat from a Twister board game”. 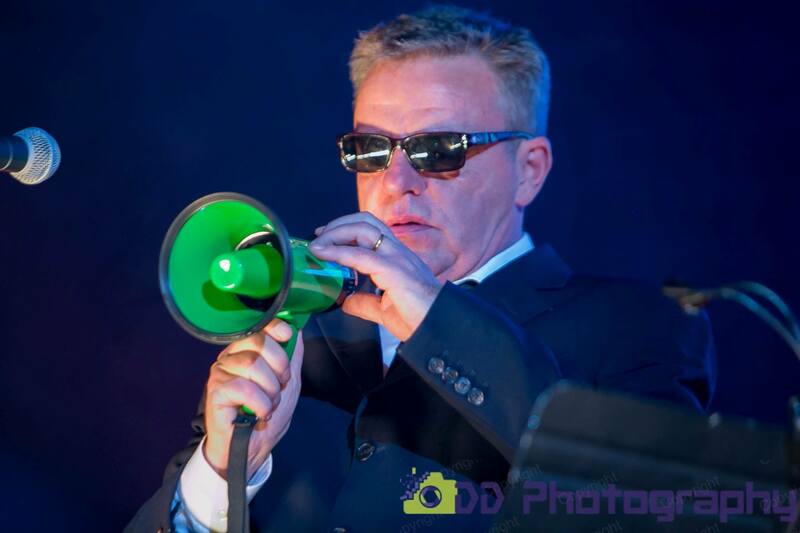 Next up we had some Suggs news, as we discovered that our favourite front man had collaborated with the legendary Jools Holland on his third big band album. The track in question was non other than ‘Jack ‘o The Green’. “Next Offering – Desperately seeking someone to film next Madness video. If you know of anyone point them in our direction & we would be forever grateful. Must not have anything to do with the f*ckin’ record industry. We finished off this week’s issue with a heads-up to warn people that DVD-R copies of the film ‘Dance Craze’, featuring Madness, were doing the rounds on ebay. With an official DVD of the film yet to see the light of day we advised people to avoid these knock offs. 12-year-old in shorts on the tough streets of North London. Constantly expecting that inevitable tap on the shoulder to hear ‘what are you doing here, Sunshine?’ how has he got this far? In this business you can be washed up at any minute. How has he managed to get away with it for so long? Fame is a tightrope and Suggs has fallen off many times. And he’ll explain the perils he’s faced when he brings his spoken word-music show, What A King Cnut, back out on tour this month. With help from Deano his trusty pianist, he’ll tell his story in words and music with the help of some Madness classics and a couple more what he wrote himself. When Suggs was putting together his first one-man show six years ago, he found out rather more than he might have wanted about his father, Mac. A keen amateur photographer and jazz fan, he worked for a photographic developer’s. But he was also a drug addict. The squeamish should look away now. When Mac took to injecting his eyeballs with paraffin, he was sectioned under the Mental Health Act and put in an asylum in south London. He died in 1975, the year his son morphed into Suggs. Suggs’ new show was triggered by a defining moment. “I recently discovered I had a sister living in Ireland. I kind of knew my mother had had a daughter she’d put up for adoption as a baby. But I had no recollection of her and it was something we never spoke about. “Then, completely out of the blue, Mum got a message on Facebook saying: ‘I think you might be my mother’. It turned out this woman – her name is Julie – had seen a repeat of my This Is Your Life on which my mother was introduced by her maiden name, Edith Gower. “Julie recognised the name and spotted the physical resemblance. Then she got in touch. This was about five years ago and I’ll never forget it. Mum flew to Dublin to meet Julie and, when she came back, she was different. “Her shoulders had dropped. It was as if she’d carried a tension inside her every day of her life since she’d been forced to part with her daughter. An innate sadness had instantly disappeared. And it all happened just in time.” Suggs’s mother passed away in April aged 79. 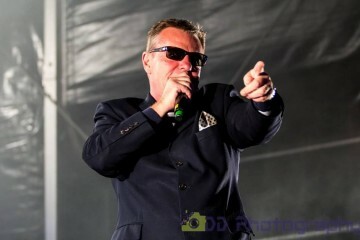 Suggs married his wife, Anne – known professionally as Bette Bright, singer with the band, Deaf School – when he was only 21. “I think I was probably looking for a bit of structure in my life. But I married for love – and we’re still together.” They also have an elder daughter, Scarlet, who married in the summer. Early success with Madness was balanced by a rock steady home life, something for which he’ll always be grateful. “Fame doesn’t really interest me,” he says. But it does, of course, open some pretty impressive doors. “A couple of weeks before the Diamond Jubilee, I’d said something disparaging on the radio about Brian May’s hair. It triggered a tsunami of angry tweets from Queen trolls. 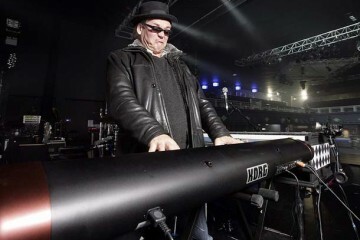 Video footage posted from The Big One showed Lee having a leisurely chat reminiscing about the time Suggs met Jerry dammers leading to the day John Hasler presented the band with their first single. “Not just Cus it had Lee Thompson (song writer name) on it. That was a moment.” Lee proudly explained how fitting it was for Two Tone concept to be writing a tribute to Prince Buster. 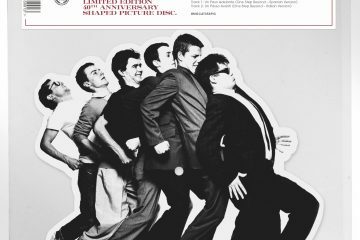 Going, he jokingly called Magnet, bastards and listed Virgin and other record labels as rinsed for lunches before £1,000 advance, a warm beer and a pork pie from Dave Robinson in the Winchester pub sealed the deal by giving Madness the all important creative control over their output and dress sense on stage. Nick welsh called, Lee “the spirit of Madness”. Lee went on tell an amusing story about stealing a carrot from a hotel in Eindhoven recently when our drinking with Suggs and forgetting it was down his underpants when some ladies noticed it slipped down to his boot tops. He proudly walked off at that point!